1. 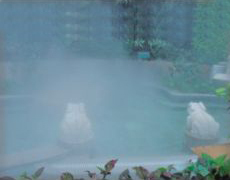 The artificial fog fountain, also called mist fountain, can build a borderland between reality and dreamland. It can be used independently in amusement parks, stages, etc. 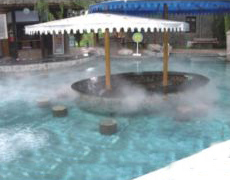 it can also be used in conjunction with musical fountain and program controlling fountain. 2. 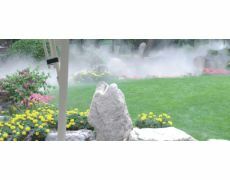 This kind of artificial fog fountain is made in the way that normal water passes though the aerosol nozzles under high pressure. And it can soften the scenery. 3. 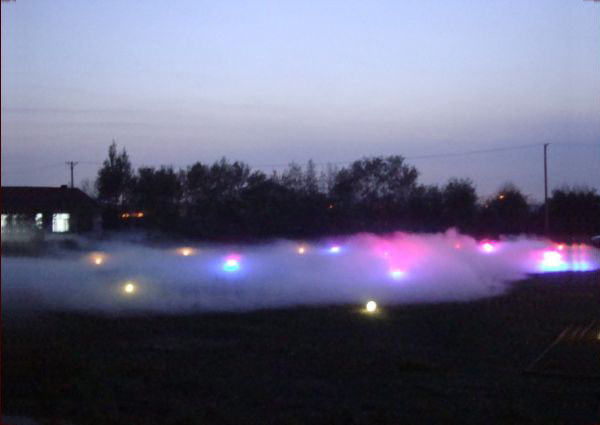 Its artificial fog can only create a magical humanity landscape for different places, like theme parks, gardens, ponds, water, bridges, sculptures, etc. 1. Natural negative ions generated by it can purify and clean your surroundings and you can benefit a lot from its moisture air. 2. 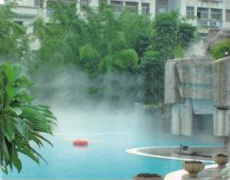 Our mist fountain is equipped with remote controller, multiple color changing lights, fogger and transformer. 2. Our company launches the new program-controlled UFO cloud machine. Its diameter of single formation is generally about 30-50m, and thickness is up to 0.5m. Fog refracts the sunlight during the day, and rainbow is clearly visible. During the night, thick clouds are magnificent. 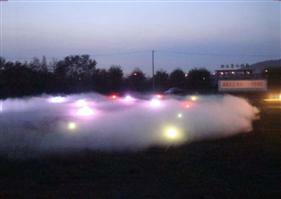 Color of LED programmable cloud machine alternates and fantastic scenery are gorgeous. Being accompanied by beautiful music, visitors are all in high spirit. 3. The programmed cloud machine takes great share relying on its characters like enough quantity fog, good cloud effect, durable, low maintenance cost, energy saving, low technology demanding about component materials and adjustment of quantity and shape. 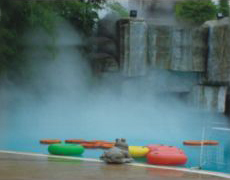 These machines are widely used in scenic spots, leisure plaza, grassland, real estate and institutions. Remarks The screw air compressor has intelligent frequency conversion, it will automatically unload and idling after full load. It is energy saving. Misty clouds cover the green grass, as if the natural reproduces of the idyllic mountain landscape. 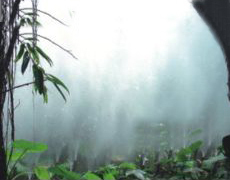 While clouds of sublimation, more effective moisturizing, protecting the green growth, can serve two efficacies. This combination is a very popular and crafty in well functioned and high quality leisure occasions. Here dreamy cloud environment can play a good contrast function. 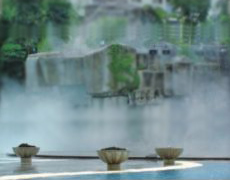 Water, platforms, fantasy clouds, smart and elegant renders of an elegant, loving, harmonious and livable atmosphere. Dream clouds linger among the trees; the taste of the original ecology of nature in the real magic is reproduced in such a fog and trees to create space, but also brings a trace of lingering fresh mood. As an important element in city, those remarkable buildings like park and plaza need to be accompanied by other sights. Sharp status or other unique spots, the extreme contrasts of visual effects or intense beauty would be appeared when it is mixed with misty fogs.